I've got a pair of the original Blunts that have three seasons use behind them now. I find them great fun on the blues, if a bit slow and (especially with my lack of athletic ability, poor sense of balance and 260 lbs, 6'1") unstable on anything too steep (willing to credit my lack of ability for a lot of that). I'm looking to buy something a little more all-mountain flexible while still keeping a lot of the maneuverability... and hopefully not as shin-clobberingly wide with more front-to-back stability. I don't do park, no interest really (though spectacular to watch!) and my "home" mountain doesn't get enough pow to bother getting something powder focussed. 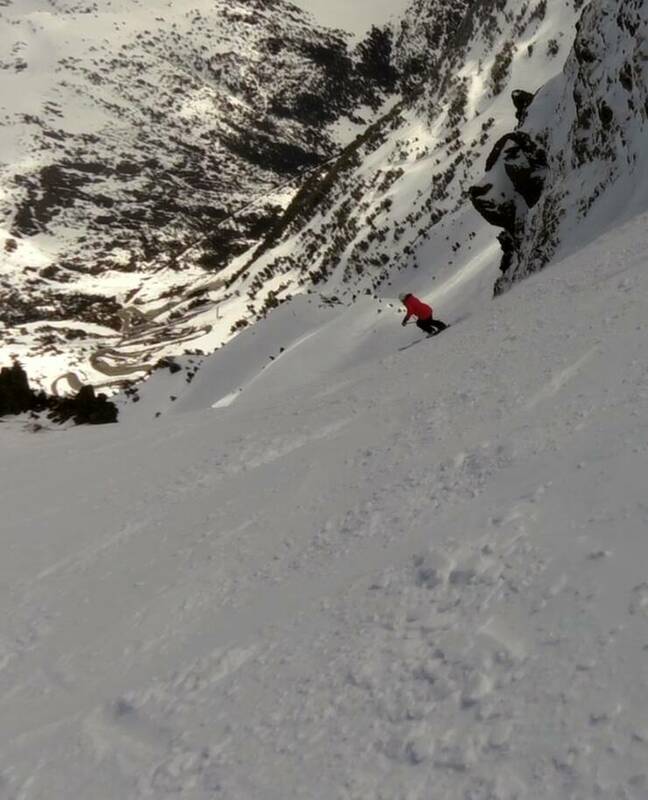 I do like carving and (naturally) get quite a lot of moguls, and I'm keen to ski more blacks this year (though it's approaching summer down here below the equator - I'm planning ahead) so I'm definitely keen for an all-mountain focus. Also considering getting some release bindings for the sheer convenience over the non-release ones. For the conditions you describe and your desire to get away from wide boards I would suggest you avoid the Spliffs. They are pretty wide and are best suited for riders that spend more time in variable ungroomed conditions than on piste resort conditions. I have always considered mine set my side country / bad condition boards. The SIIs, Revolts, and DLPs will all give you more fore/aft stability and ride narrower than your Blunts. In progression the SIIs will feel the shortest, then the Revolts, followed last by the DLPs. They will all provide what you are looking for but in slight different ways. For example the SIIs will give you more length, less width, and with their slight rocker will be still be easy to turn like Blunts but stepping all the way up to the DLPs will give you the most length for speed and stability but will take a much more focused effort to turn than your Blunts. The Revolts are somewhere in the middle and of the grouping might be the easiest to pick up used. They have been around for a long time and regularly come up for resale on the forum. The Crossbows have rave reviews here, and so do the Stickys. I think those two in that order are probably the most recommended and well received single quiver all mountain options by many riders who have tried them recently. Both have progressive designs (soft flex, rockers) that target leisurely, forgiving and versatile riding styles. And of the two, Crossbows should be a better fit for your size. DLPs are fantastic, more traditional boards. They are stiff and really shine in the park and on groomers, and the more you push them the more you appreciate them. I have all 3, and I found myself on Crossbows the most last year followed by DLPs in the park. I personally don't like the Stickys as much, but they are my go-to loaner/learner boards. I also recommend the Crossbows. Great boards! Sweet, thanks all - I hadn't considered the crossbows, not because I knew anything about them or had anything against Jeff et al, but simply because I was impressed with the Blunts so was thinking a different set of RVL8s. Am I right in interpreting that the Crossbows come with the Risers for $100 cheaper if purchased as a combo straight from Spruce? The only boards in discussion that I have experience with are the Revolts and DLP's. Having said that, I'd recommend the Revolts as a good option, even if you decide to go all the way up to the Crossbows with the release bindings. Like Wookie mentioned, they have been around for years and are one of the most popular models, so used ones do pop up. Shipping to you may be on the expensive side, but you'd still save money overall. Because of their traditional build, the Revolts will feel way more stable than the Blunts, but they are still really maneuverable. Because of my style of riding (fast) and my preferred terrain (trees and powder), my go-to boards are generally KTP's or Condors, but I still enjoy riding Revolts on groomed slopes. Sounds like me, except for the 260lbs. I definitely would like to throw the Spruce Crossbows into the mix. Very forgiving, very maneuverable and it has been all over the free-ride areas here where I am. That's not me in the pic but one of our American friends who came to visit from Colorado who is an exceptionally good skier. She did that chute with her off-piste capable skis. I followed on Crossbows. The point I want to make is that they are capable of a lot of terrain. Jeff at Spruce does offer great Crosbows + riser + bindings packages. I suggest you reach out to him on which of the binding options might be the best for you, but yes the combo is cheaper than buying each separately. +1 for the Crossbows. I've owned the Revolts and DLPs and currently own the Crossbows. The newer tech of the Crossbows (Rocker/Camber/Rocker) makes them a much better all around board than the Revolts and DLPs. I started on the Revolts and the DLPs were my second set (both awesome, by the way), but if the Crossbows had been available back then, I think they would have been on the the most popular boards ever. Everything Macro states about the Crossbows is true. Your Blunts are fine boards, but by comparison you'll get a welcome stability boost with the Crossbows which are an easy, smooth and intuitive ride. The SII's are excellent, too, and are something of a scaled-down Crossbow (or are the Crossbows scaled up SII's?). It's probably a bad practice to make generalizations since there are always---always!---exceptions but I will do so anyway. In general, the park/aggressive/high-speed/power type riders tend to prefer the stiff, and/or high camber boards (DLP, Revolt, KTP etc.) The Spliff might fit somewhat in this category also. These boards require and respond to an energetic, high-input style very well. The softer and/or low camber boards (SII, Crossbow, BXL, etc.) tend to be favored by the non-park types. They respond better to nuanced input and less to raw power. The best example of this type board is the late, great Spruce 120 (although the Crossbow is a worthy successor). Certain other boards such as the Rockered Condor and the Sherpa fit off to the side in their own, unique categories. Personally, I fit squarely in Category II and the Crossbow would be my pick. But it's a given that everyone is different, so "your mileage may vary" and there really isn't a wrong answer. Having only ridden the Slapdash and KTPs I don't have a wealth of experience on the subject but it sounds like the KTP is another great option if you haven't made a decision yet. I've enjoyed it in a variety of conditions, granted I haven't played with any of the newer tech models. I honestly have a hard time believing any boards would feel better than the KTPs to me. The best example of this type board is the late, great Spruce 120 (although the Crossbow is a worthy successor). I took my quiver of Spruce boards including the 120s last week on a mission to whittle down on my collection. I failed. I prefer the 120s over the Crossbows on fast slalom carves on groomers. What I noticed most was the quicker edge engagement going from one side to the other on the 120s compared to the Crossbows. I'm fine with sacrificing that response for the versatility of the Crossbows, but I don't view the Crossbows as a successor to the 120s. They feel very different for me.